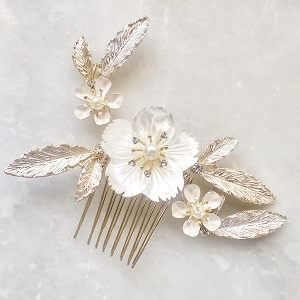 Boho Bridal Hair made with gold maple leaf detail and rhonestones. 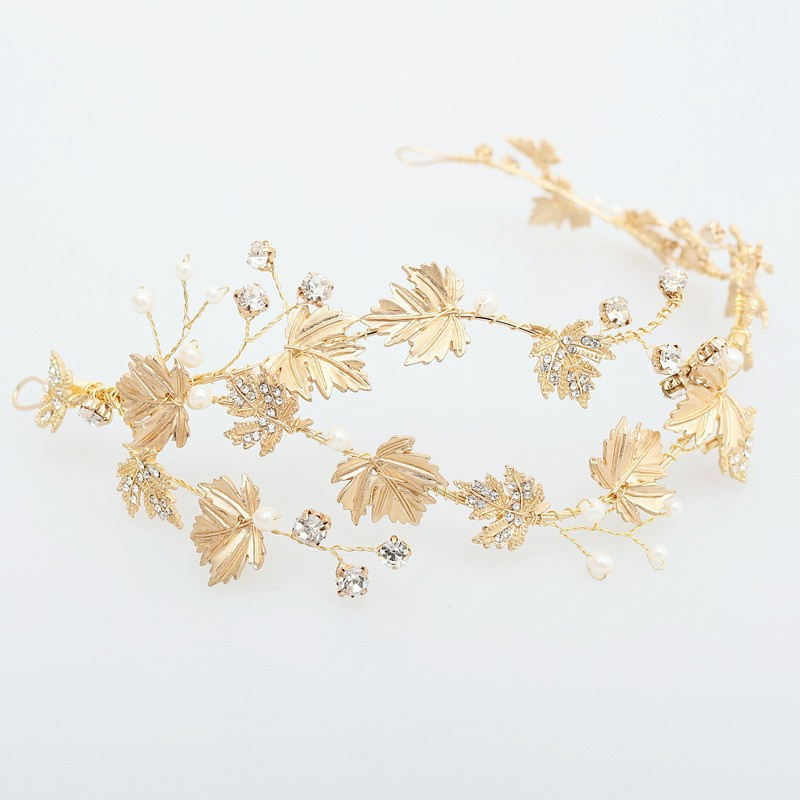 This piece is striking and requires minimum amount of jewelry. 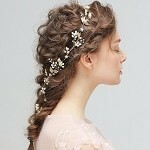 Perfect for the boho bride and the brides who loves to wear something unique.